A nine-year joint research project conducted by VIB, KU Leuven and VUB has led to a crucial breakthrough in cancer research. Scientists have clarified how the Warburg effect, a phenomenon in which cancer cells rapidly break down sugars, stimulates tumor growth. 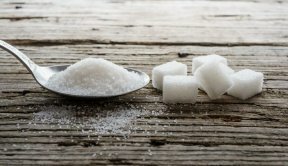 This discovery provides evidence for a positive correlation between sugar and cancer, which may have far-reaching impacts on tailor-made diets for cancer patients. The research has been published in the leading academic journal Nature Communications. This project was started in 2008 under the leadership of Johan Thevelein (VIB-KU Leuven), Wim Versées (VIB-VUB) and Veerle Janssens (KU Leuven). Its main focus was the Warburg effect, or the observation that tumors convert significantly higher amounts of sugar into lactate compared to healthy tissues. Yeast cell research was essential to the discovery, as these cells contain the same ‘Ras’ proteins commonly found in tumor cells, which can cause cancer in mutated form. Using yeast as a model organism, the research team examined the connection between Ras activity and the highly active sugar metabolism in yeast. Prof. Johan Thevelein (VIB-KU Leuven): “We observed in yeast that sugar degradation is linked via the intermediate fructose 1,6-biophosphate to the activation of Ras proteins, which stimulate the multiplication of both yeast and cancer cells. It is striking that this mechanism has been conserved throughout the long evolution of yeast cell to human. © 8035 Chicago Hispanic Newspaper, Lawndale News, Hispanic Bilingual Newspapers, Su Noticiero Bilingue. All rights reserved. XHTML / CSS Valid.